In her powerful memoir His Bright Light, #1 New York Times bestselling author Danielle Steel opened her heart to share the devastating story of the loss of her beloved son. In A Gift of Hope, she shows us how she transformed that pain into a campaign of service that enriched her life beyond what she could imagine. For eleven years, Danielle Steel took to the streets with a small team to help the homeless of San Francisco. She worked anonymously, visiting the "cribs" of the city's most vulnerable citizens under cover of darkness, distributing food, clothing, bedding, tools, and toiletries. She sought no publicity for her efforts and remained anonymous throughout. Now she is speaking to bring attention to their plight. In this unflinchingly honest and deeply moving memoir, the famously private author speaks out publicly for the first time about her work among the most desperate members of our society. She offers achingly acute portraits of the people she met along the way—and issues a heartfelt call for more effective action to aid this vast, deprived population. Determined to supply the homeless with the basic necessities to keep them alive, she ends up giving them something far more powerful: a voice. 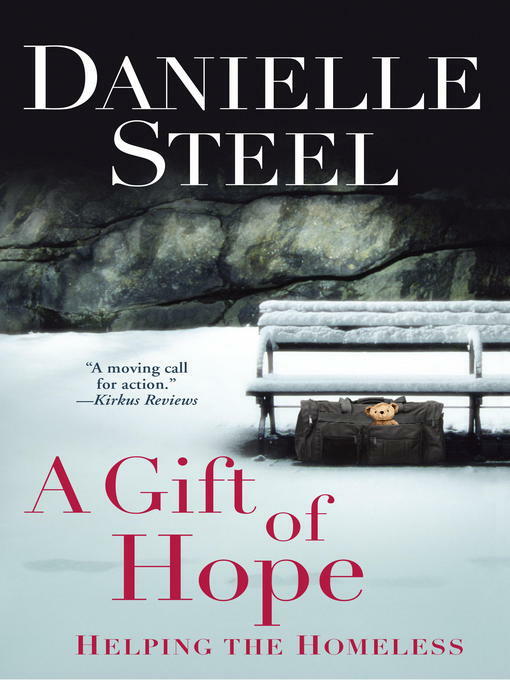 By turns candid and inspirational, Danielle Steel's A Gift of Hope is a true act of advocacy and love.